Plot area : 7476 Sq mt. Built up Area : 8266 Sq mt. 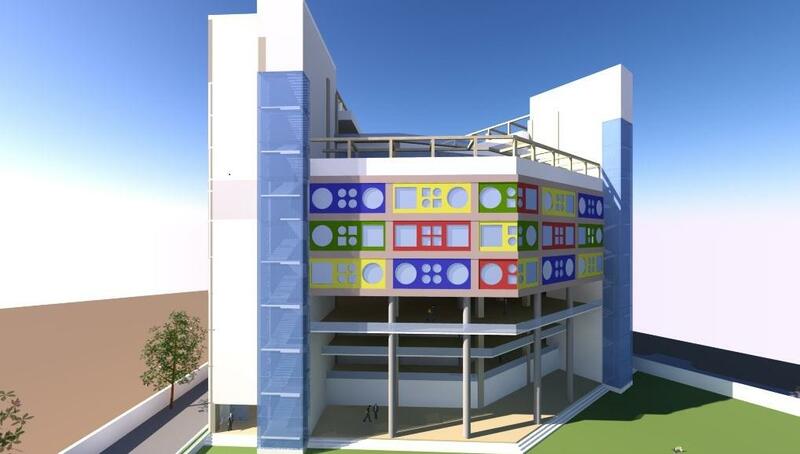 The concept transpires from Lego blocks, every child’s favorite toy combining creativity and physics. 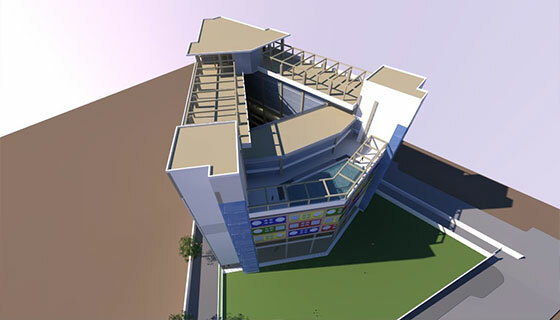 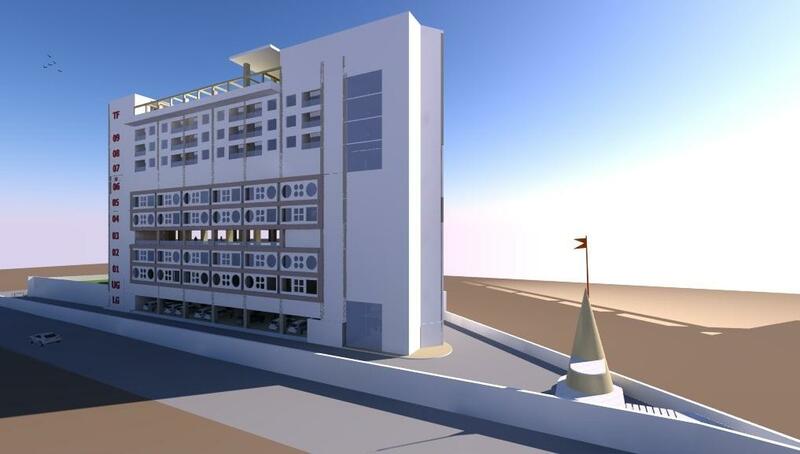 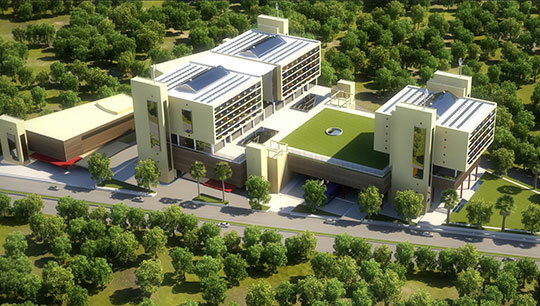 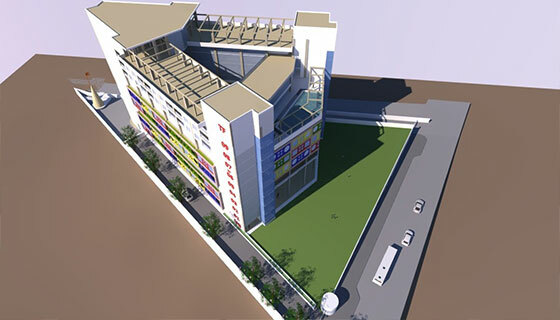 Proposed on a triangular site, the design incorporates precast block technology for ease of construction and execution. 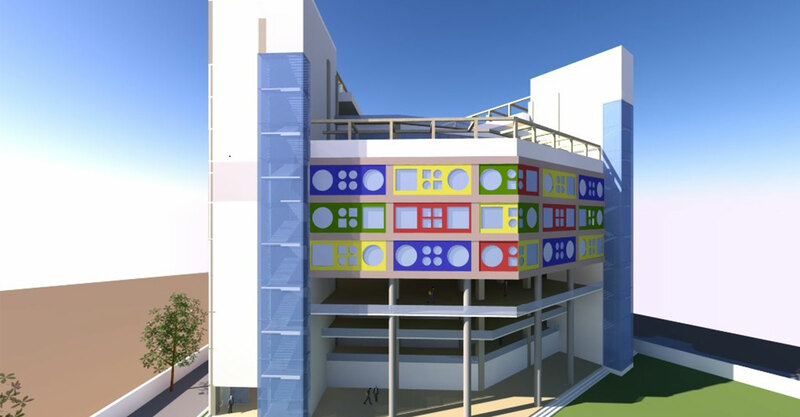 The façade plays on the concept of colorful Lego blocks, bringing vibrancy and enthusiasm into the school. 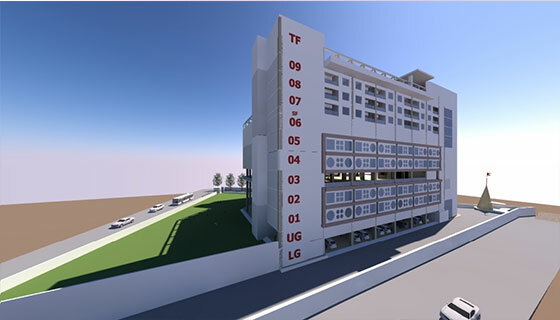 Precast block technology has been incorporated in the design to allow easy construction and execution. A central atrium acts as the indoor recreational facility, linking educational facilities, cultural and extracurricular facilities, while lighting up the interior spaces through the glass skylight. Adequate parking and staff quarters are fitted on the lower and upper ground levels. 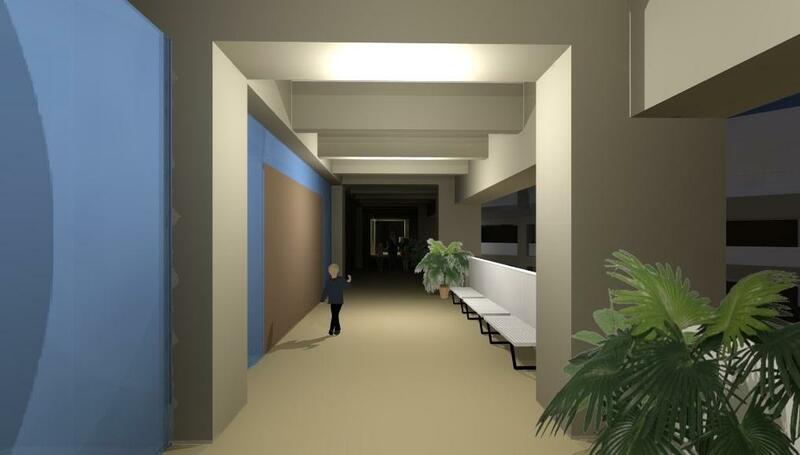 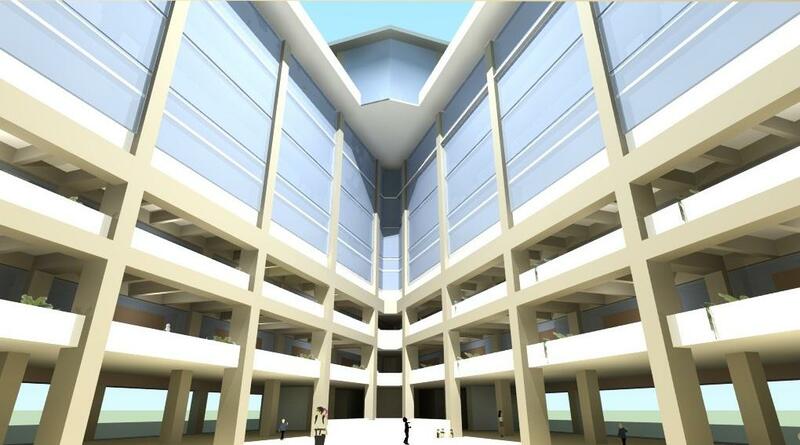 A double height multipurpose hall with a stage forms the central core on the first and second floors allowing all students, teachers and staff to gather in this central space, surrounded by classrooms located at the periphery of the building. 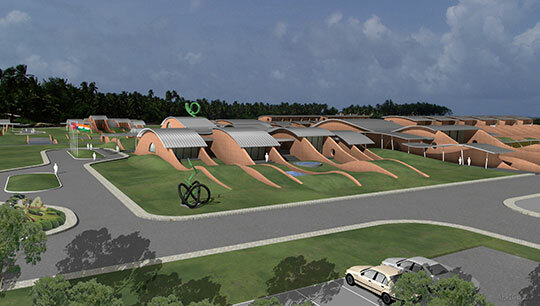 A large playground is also zoned along with a temple to the rear of the school. 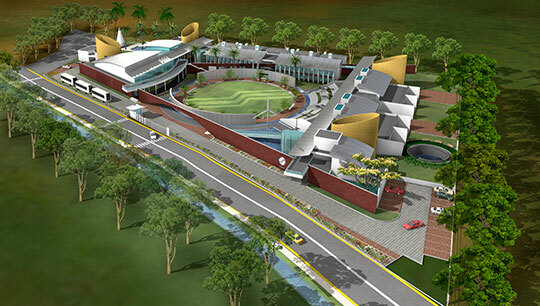 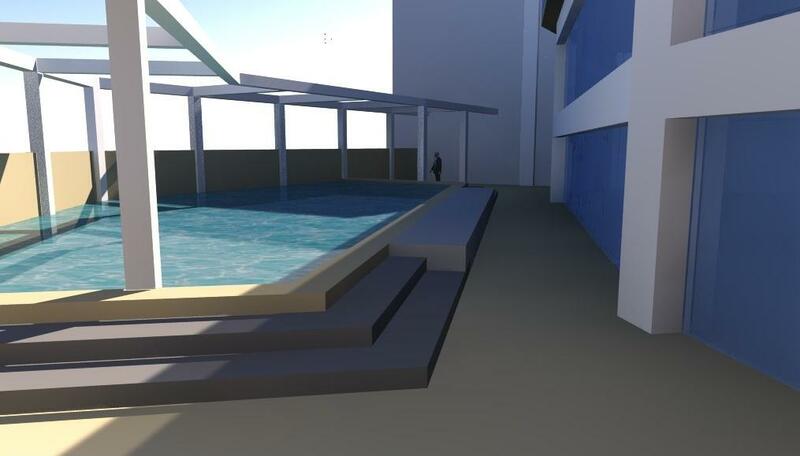 A swimming pool and open air recreational facilities on the terrace add to the charm of the school.